It is my greatest professional honor to take the helm as the Justinian Society of Lawyer President for 2018-19 term. The opportunity to serve as President of such a prestigious organization is both humbling and rewarding; I therefore take this responsibility very seriously. We can take great pride in the society’s contributions to the practice of law and to the judicial system. 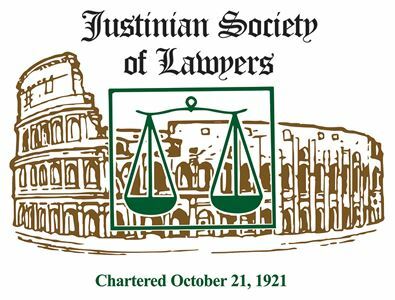 The Justinian Society of Lawyers has evolved from an organization that was founded in 1921 by Italian immigrants and first-generation attorneys who sought parity in their profession, into a thriving bar association that has shepherded its brethren into a formidable force in the legal community. Our mission has transitioned to include active charitable contributions through the Justinian Endowment’s Fund’s scholarship and children’s endowment programs. As we move to the future it is fitting to remember our roots, pay homage to the giants who paved our way and continue to celebrate our rich Italian culture. I have planned this year to both pay homage to the past and pave the road toward a bright future for our membership. Our September 26 Installation & Awards Dinner will be traditionally held at the iconic Palmer House Hilton Hotel. My thanks to Program Chair Hon. Gloria Coco for her hard work on the dinner, as well as Nicole Pisano who worked as co-chair. In moving to the future, we will host a fun-filled evening at our first Casino Night on February 21, 2019 at Formentos in the West Loop; proceeds to benefit the Justinian Endowment Fund. The rest of the year will include traditional dinner meetings as well as a cocktail event to mix up the old and the new – I hope this will bring more enthusiasm and increase membership. I want to thank the Justinian Society officers, executive and endowment fund boards for their dedication and hard work. There is an inordinate amount of work that goes toward keeping this organization viable and relevant. One of the most dedicated members is Sam Tornatore, this year’s Award of Excellence honoree. As many of you know, Sam is my uncle and he has been my mentor for many years, both in my personal and professional life. He is one of our most revered members, known for his professionalism, honesty and integrity. Sam was integral in my interest to become a lawyer and as even now, as a seasoned attorney, he continues to be my consigliere and for that I am always grateful. 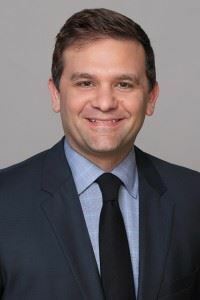 We can be proud to bestow the Outstanding Achievement Award to Cook County Board of Review Commissioner Michael Cabonargi, who has worked to make his office more transparent, open, efficient and effective. I cannot conclude my first address without thanking my mom, Nina Albano Vidmer and my sister Grace, who works with Nina in managing the Justinian Society. For as long as I can remember, the Society has been a part of our lives, from stuffing envelopes, labeling newsletters, attending countless Columbus Day parades and now to planning my year as president. I invite all of you to renew your dues and mark your calendar to participate in our Justinian events this year. It will be a chance to not only meet with old friends but gain new friends and network among professional colleagues. Graze e ci vediamo!